TechVantage has been building robust web sites since 1999. Couple this with our 30 years of industry experience and you'll have a web site that will empower your business. We'll build a web site that will offer your customers superior services. Our web sites are designed to do business. The sites in our gallery all provide core business services to their owners. When you're ready to move beyond just advertising your business on the web to doing business on the web, contact us and we'll work with you to build a web site that will complement and extend your business. TechVantage has developed a number of custom web and intranet sites tailored to a specific business requirement. 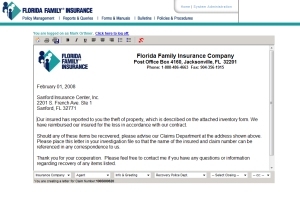 The Claims Letter Writing System allows Florida Family Insurance to compose custom letters online using pre-defined text blocks. 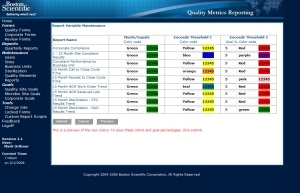 The Quality Metrics Reporting System was developed for one of the country's largest Medical Device companies. 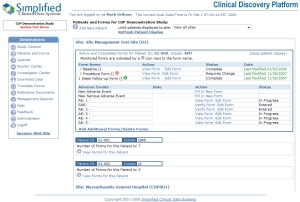 The Clinical Trial Platform, first released in 1999, is a web based clinical trial data entry system hosting over 1,000 dynamic entry forms. 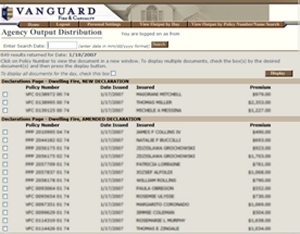 The Agency Output Distribution System eliminates printing and mailing and allows Vanguard Fire & Casualty's agents to retrieve all their output electronically. 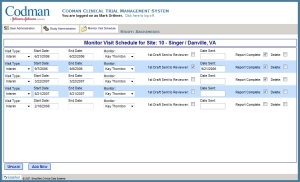 The Clinical Trial Management System provides scheduling, tracking and reporting of medical monitoring visits.